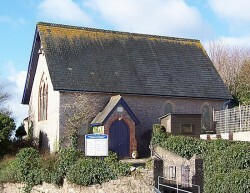 Flavel Chapel, home to Galmpton Congregational Evangelical Church, situated opposite the Post Office in Galmpton, three miles from Paignton on the Stoke Gabriel Road. 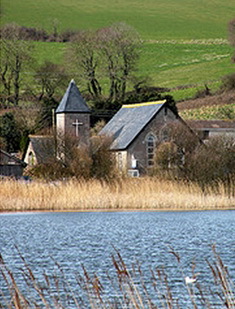 A congregation meets there every Sunday at 10:30 am and in the evening at 6:30 pm. Anybody wishing to know more about Jesus Christ, who he is, why he came, and what it means to follow him, is warmly invited to any of the services. Whether you have been a Christian for some time, or would not yet class yourself as a Christian, you will be warmly welcomed there every Sunday.